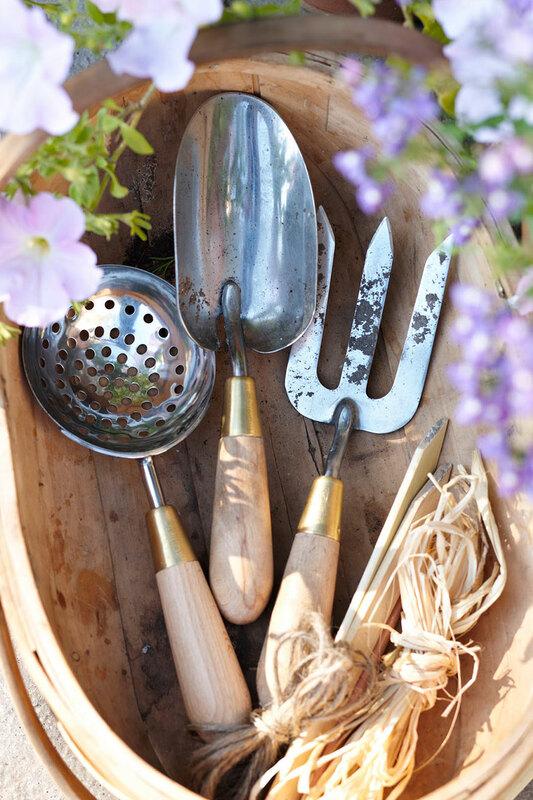 "I couldn't help noticing that whenever I would dig, half the soil fell off the back of the trowel, making each job take longer. 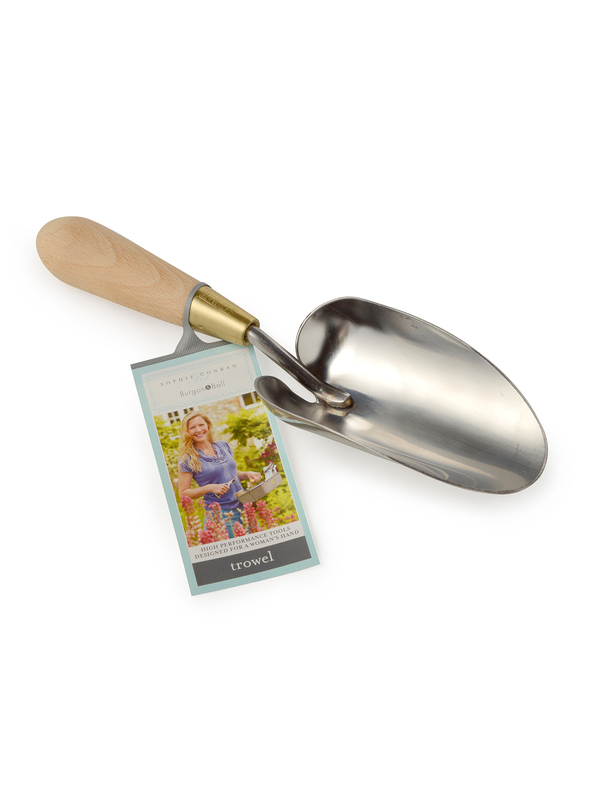 The gently curving backstops of my trowel prevent this from happening - one less frustration in my day" says Sophie. 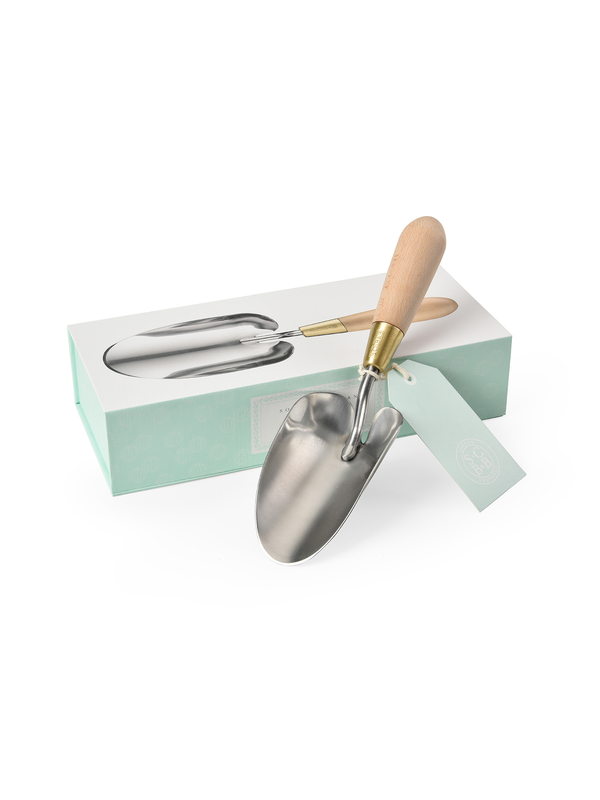 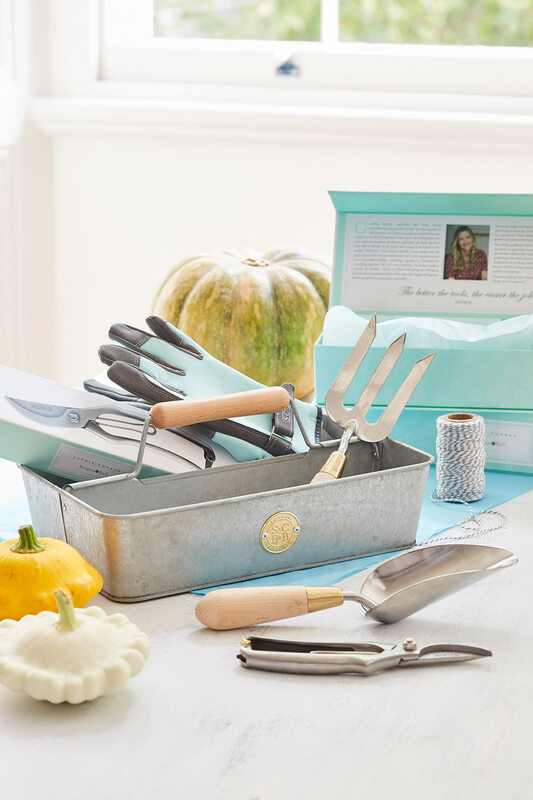 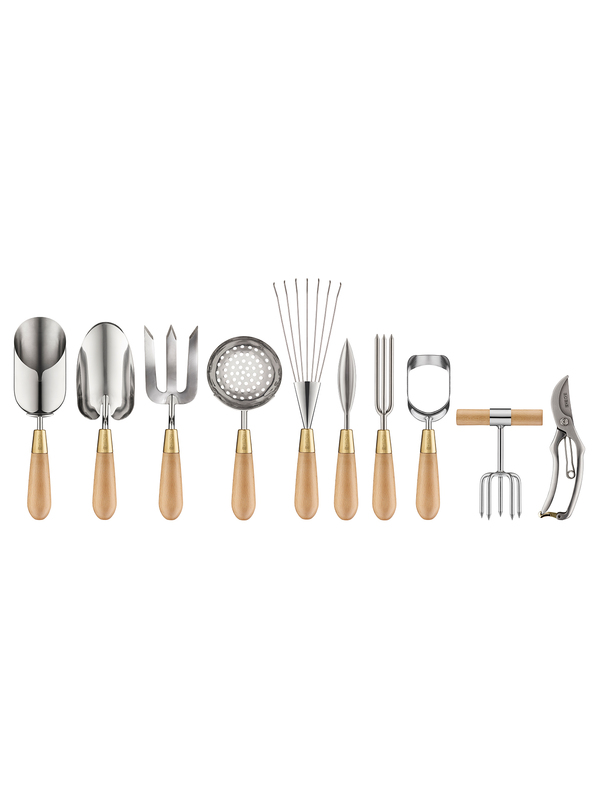 The trowel comes in a beautiful box ready to make a perfect gift for any keen gardener. 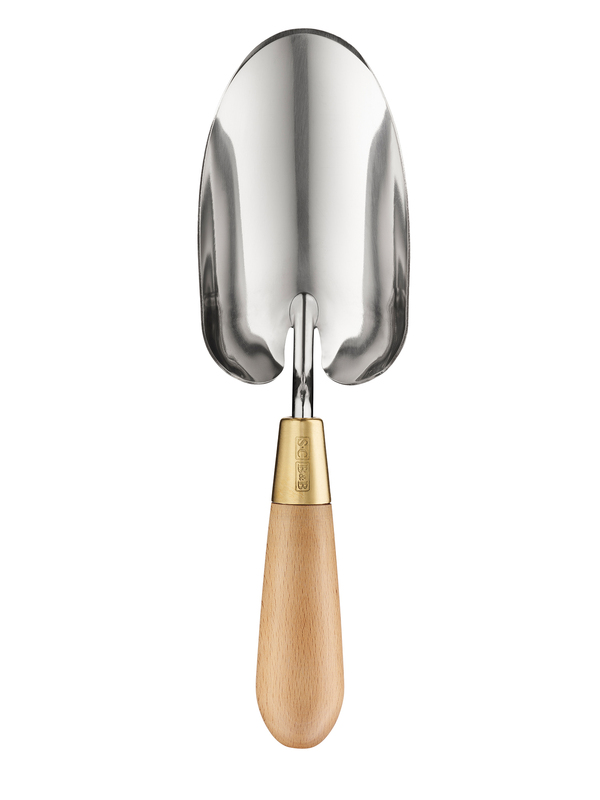 Materials: stainless steel, solid brass ferrule and natural beech handle.